I was surprised when I opened the box delivered to me a few days ago. I was eager to test out the latest Ticwatch E2. My surprise wasn’t related to the E2 at all but the fact that I got shipped the S2! So, I guess I’ll be reviewing the Ticwatch S2. Both watches were released at the same time, as were the original versions, the Ticwatch E and Ticwatch S.
But I’m glad it worked out this way because I’ll be able to compare the S2 against the Ticwatch Pro which I reviewed last year. The two watches look a lot alike, and in fact have pretty much the same size and shape but there are differences and I’ll get it to that in a bit. My first thought when I saw the S2 was, “Wow, that is a big plastic looking watch.” And well, that’s what it is but it’s a full-featured GPS smartwatch with high durability ratings. So, don’t let the looks fool you. Set up went very smoothly through Wear OS. Downloading some of my favorite Wear OS apps went smoothly, albeit a bit slow but this is typical. 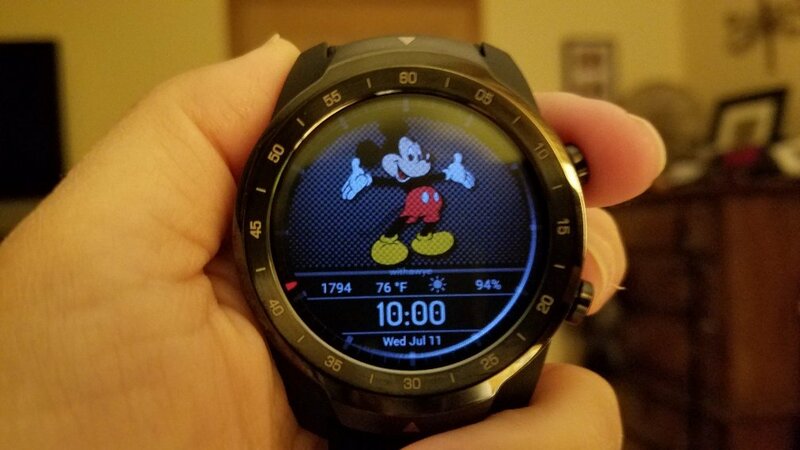 While this doesn’t appear to be a speed demon of smartwatches with its processing power, the apps I’ve tested such as Google Maps, Google Assistant, some of my favorite weather apps, Play Music, Endomondo, ViewRanger have been loading reliably. I was able to download music to the watch using Google Play Music for offline listening. So, yes you can download music to the watch and no there is not a built-in speaker in the S2 or E2. 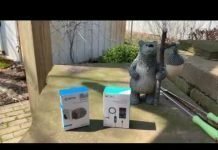 I’ve noticed several smartwatches have ditched the speaker lately and I’m not sure why. Maybe to make room for more sensors? A bigger battery? 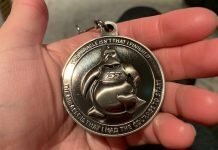 To achieve better water resistance ratings? Whatever the reason, there’s no speaker. However, there is still a mic. The mic lets you ask Google Assistant questions and reply to messages by voice. Like the original Ticwatch, it’s very good at understanding what I am saying and converting my words to text. I do like the new watch faces it ships with too. They give the watch a sporty outdoor feel to it and that’s what the watch is trying to be – a sporty outdoor smartwatch. The difference between the E2 and the S2 besides slightly different looks is that the S2 achieves military grade ratings for durability. This means that it can take more extreme cold and hot temperatures, be resistant to dirt, sand, and such, and high humidity. While both the E2 and S2 have the same water proof rating of 5 ATM (50 meters deep), the S2 has the military grade as well. So, if you’re the outdoorsy type and plan to wear the watch in colder, hotter, and more humid conditions, then the S2 is probably the one you’d want to choose. The differences between the Ticwatch S2 and the Ticwatch Pro are important if you’re trying to decide between the two. The Ticwatch Pro has two screens. The top screen is a low power LCD meant to conserve battery life and the full color AMOLED screen beneath for when you’re interacting with the watch and using Wear OS apps. Ticwatch Pro in black with third-party watch face from Facer. View the Ticwatch Pro on Amazon for pricing and availability. The Ticwatch S2 is available on Mobvoi and Amazon as I write this. You can check them out for more details at either site. The Ticwatch Pro has a much more premium look, feel and weight to it. The bezel and back of the watch are composed of metal and the strap is leather and silicone. A silicone layer is beneath the leather so that the silicone is what touches your skin. This is more comfortable for workouts. 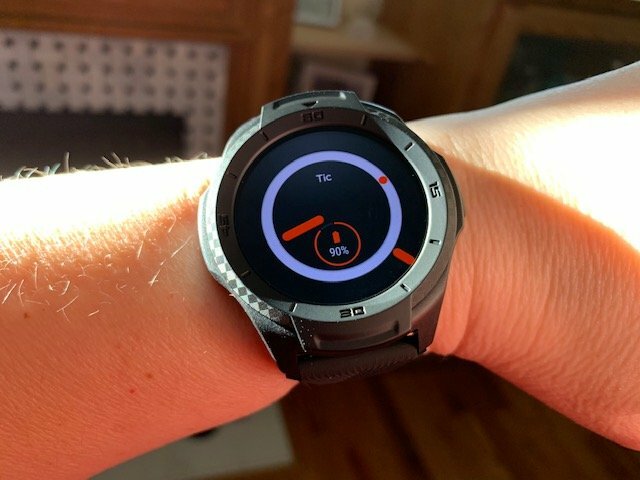 Battery life on the Pro is an easy 2 days but you can extend that by using the Pro’s essential mode which shuts off Wear OS and leaves on the LCD screen which continues to show you the time and your step count. I really like this feature and the LCD screen is very readable outdoors. Another notable difference is that the Ticwatch Pro supports Google Pay while the S2 does not. Reasons why you would go with the S2 over the pro are that the S2 is rated for swimming while the Pro is not and it can handle more extreme outdoor conditions. The full retail price is also cheaper. The price at the time I’m writing this for the S2 on Mobvoi is $179 while the Ticwatch Pro is $249. A built-in GPS and a heart rate sensor is included with both watches. The fitness features are the same, except that pool swimming is supported by the S2. As far as specs go for size, the Pro is actually a little smaller than the S2. The Pro is 45 mm x 12.6 mm while the S2 is 51.8 mm by 12.9. So, neither watch is dainty on the wrist and that was really my only complaint about the Ticwatch Pro. The Ticwatch S2 with its’ less than slim profile. At 12.9 mm thick the case can catch on sleeves and be easy to bang against doorways. Luckily, it is built to be durable! The silicone strap is easily replaced with quick release pins. However, the silicone strap is of good quality and should hold up well. They’re both large watches and if you have a smaller wrist, not only do they look big but also may be a bit uncomfortable. I find the Pro more comfortable to wear than the S2 though. 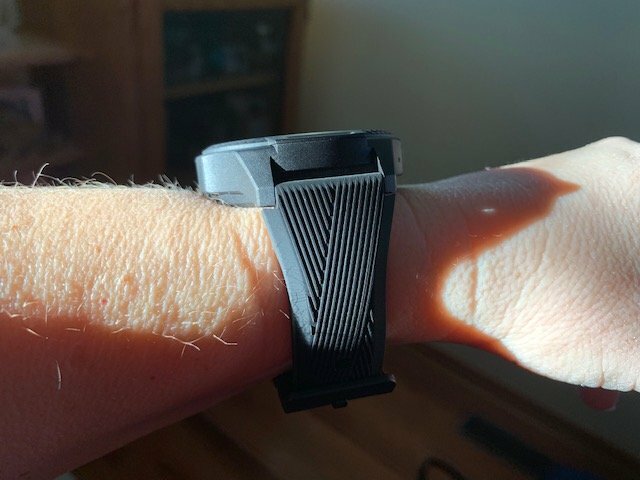 I have to wear the S2 a little higher on my wrist to keep it from rubbing against my wrist bone. 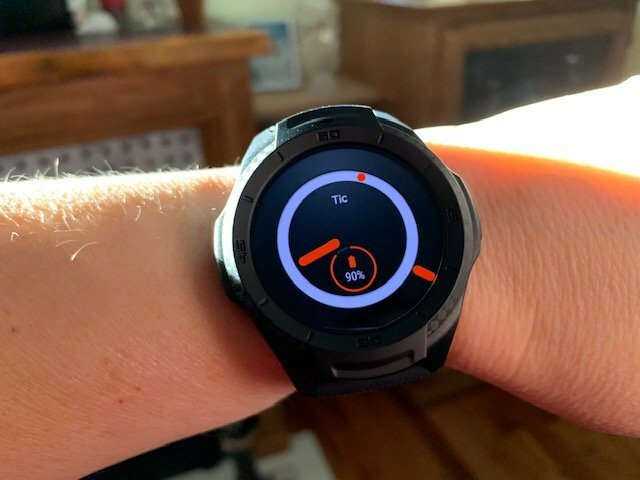 What I loved about the Ticwatch Pro is that it tested out great against the Garmin Fenix 5s, the Cadillac of GPS fitness watches, for both GPS accuracy and heart rate. I was very impressed with its’ fitness features and accuracy. A lot of smartwatches fall flat in this area but not the Ticwatch Pro, so I’m hoping I’ll be able to say the same of the S2. I think the S2 will be a popular watch for Mobvoi. I expect the E2 to appeal to more buyers due to its less outdoorsy look. An interesting note is that the E2 is actually a little larger at its’ widest diameter at 52.2 mm than the S2 at 51.8 mm. So what are my first thoughts after seeing the Tiwatch S2 in person? Well, I think it’s a large watch that is lightweight due to its plastic build. The large screen should be nice for workouts and hiking. I still need to test visibility in direct sunlight however. Wear OS seems to function well on the S2. One thing I have noticed is that the screen isn’t as responsive or precise as the Fossil Sport, another new Wear OS watch I’m getting ready to write the full review for. Stay tuned for that because I’ve been having fun testing out the Fossil Sport! The Tiwatch S2 still features Mobvoi’s native fitness apps as well as Google Fit. You can also download many of your favorite fitness apps like Strava, Endomondo, MapMyRun, etc. I’m also looking forward to getting the Ticwatch S2 out on the trails and into the gym to test its fitness sensors. And of course, I’ll be taking note of battery life since that is always an important consideration with any smartwatch. The more I interact with the S2 the less I notice its’ plastic build and the more I appreciate what it is trying to achieve. This is a budget friendly GPS Wear OS smartwatch with high durability ratings and that’s pretty cool. 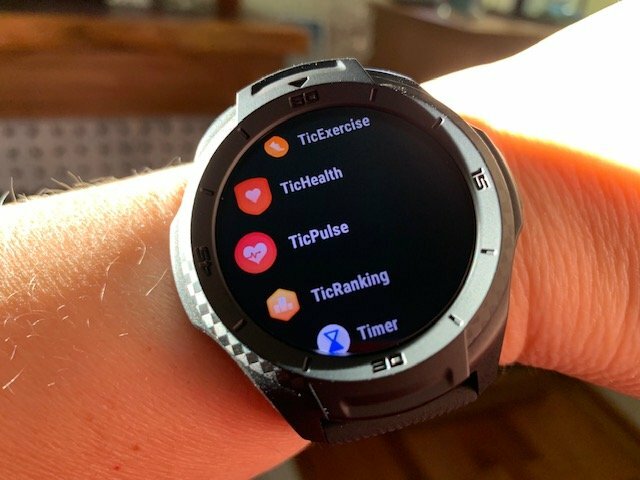 If it tests out as well as the Ticwatch Pro, I’ll be thrilled to share the news. UPDATE: This morning I tested out the heart rate sensor versus the Polar H10 chest heart rate strap and the S2 tested out very well. It was a little slow at the beginning for about a minute or so but after that the heart rate sensor pretty much mirrored the results of the H10. That’s some good news. 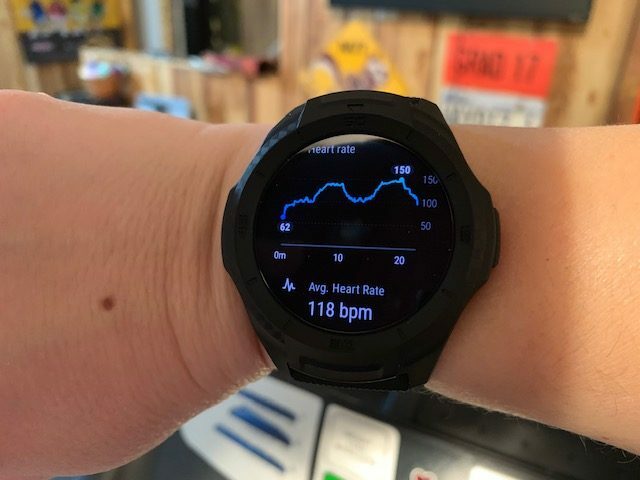 Heart rate throughout the workout displayed on the Ticwatch S2. Below are the results from the Polar H10. As you can see the average heart rate and max heart rate were very close, as well as the two graphs. Previous articleTicwatch E2 and S2 Now Shipping! 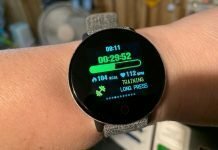 Next articleFossil Sport Review – The Irresistible Wear OS Smartwatch!